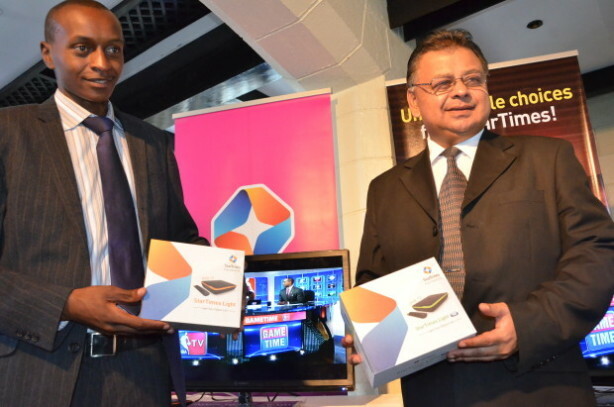 Pay Tv firm, StarTimes Media has unveiled two sets of pay TV decoders to the local market to up its game in the competitive low end consumer segment, banking on quality of service to retain and attract new subscribers. The two decoder models dubbed, StarTimes Light will be of Standard Definition (SD) while the other will be a High Definition (HD) DVB T2. They come loaded with an advanced user friendly interface; the decoders are equally sleek, stylish and come with a modern look. The company’s investments on design have made the latest offering slimmer and lighter than the current decoders in the market adding to their appealing and distinguished features. StarTimes Light Standard Definition and StarTimes Light High Definition will be retailing at Sh. 199 and Sh 999 respectively upon subscribing to a bouquet of choice at a cost of Sh 1,500. With the Sh 1,500 subscription, subscribers have a choice of accessing 10 months Nyota bouquet, 3 months Basic bouquet, 1 and a half months Classic or 1 Month Unique bouquet.